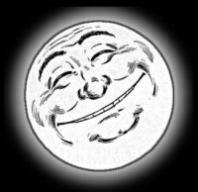 I love my bed fan. 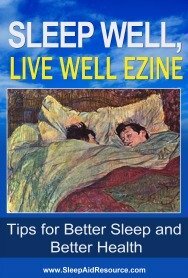 As someone who has always loved sleeping in a cold bedroom, yes even with a window cracked in the middle of a Minnesota winter, this sleep aid helps to keep my sheets and me cool through out the night. If night sweats or a warm bed wake you up in the middle of the night or keep you awake at night this machine will help to keep your body cool. At the end of the summer our air conditioning went out, I was able to sleep comfortably thanks to the cool air from my bed fan. After researching several options for a bed cooler, I settled on the Bed Jet. The reviews were very positive even though it's quite expensive. But I figured you can't put a price on a good night's sleep if you are one, like me, who wakes up frequently from being too warm. 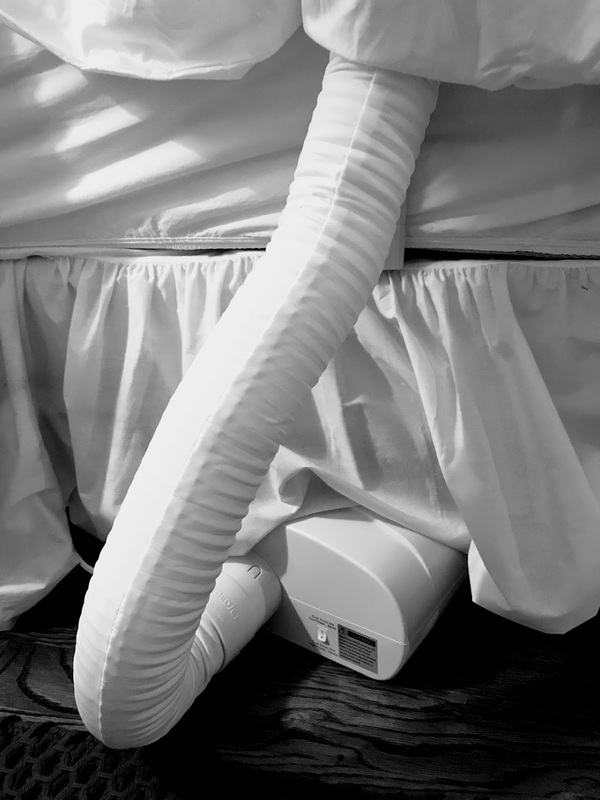 The bed fan machine fits under the bed and the tube goes into the hole of a Bed Jet sheet so that air doesn't escape and the air flow is maximized. 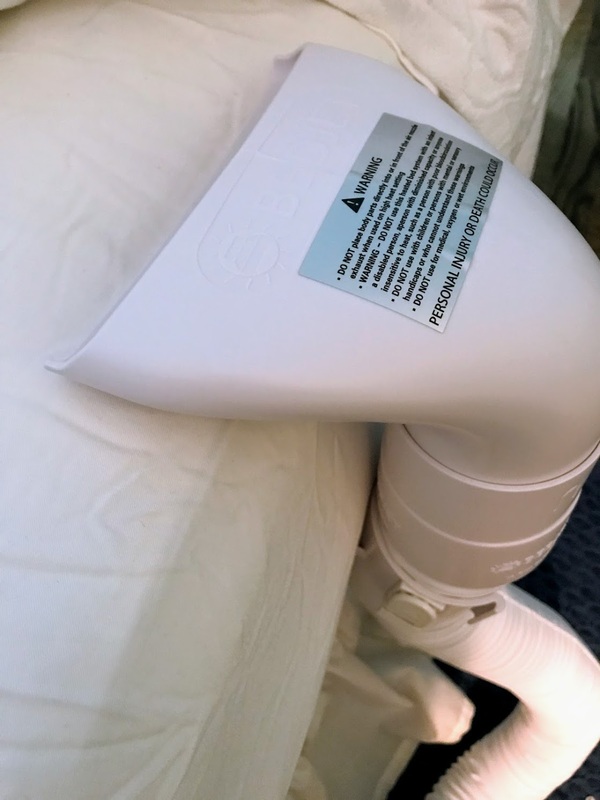 You can buy the Bed Jet without the specially designed sheet, but my problem with other bed fans is that lots of the air escapes if you don't have your sheet tightly tucked around it. Their sheet eliminates that problem so there's no constant adjusting or tucking sheets. Also there are several options of where to place the hose. Bed fans that blow air from the end of the bed were a problem for someone who is short like me - not much air reached where I was sleeping. There are several elastic opening options for you to choose from to insert the nozzle and hose into your AirComforter sheet. The snap buttons allow for the sealing of the airflow. 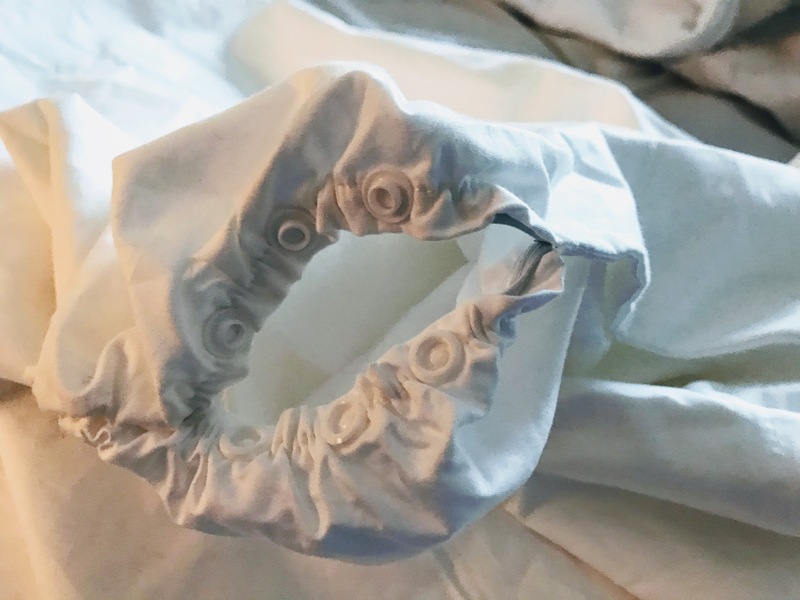 Be sure the snap button on the unused elastic openings are snapped shut or the BedJet air will escape and the Aircomforter sheet will not work as well. Pull the elastic opening as far down the Bedjet air hose as it will travel. Ideally the elastic opening should be looped UNDER the two sheet clamp located on the hose mattress mount. Too much weight on top of the AirComforter sheet may cause a reduced air flow. 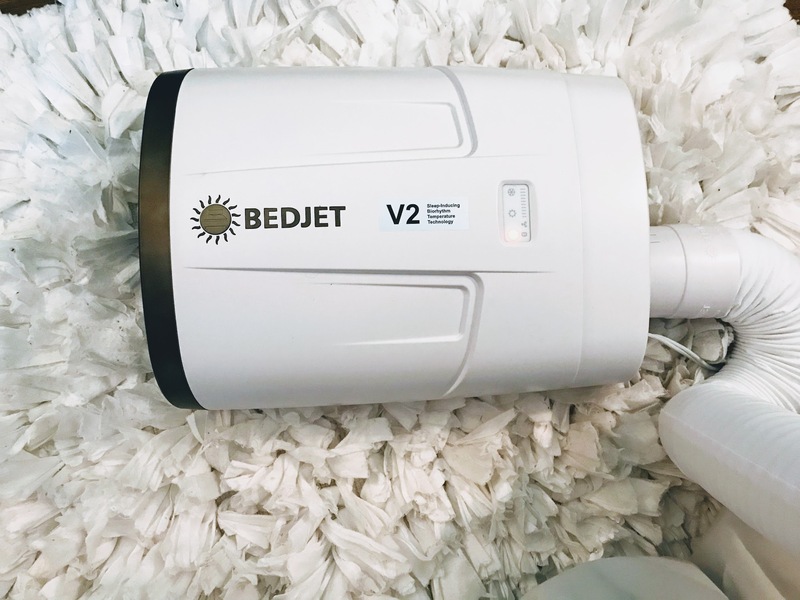 The BedJet sheet has an opening on the side so that the air flow is right where I need my sheets cool. 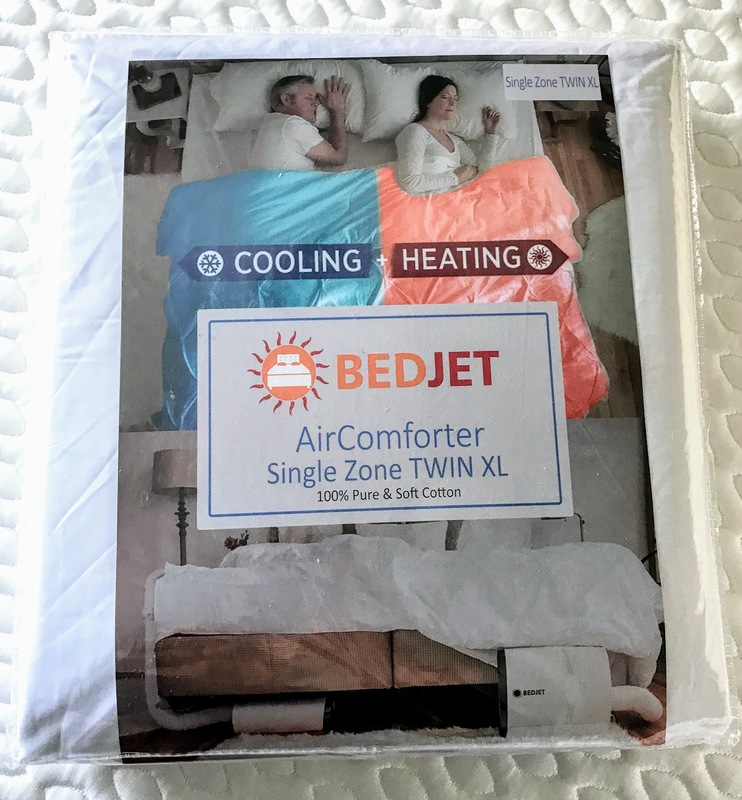 The AirComforter sheet allows a more even distribution into the bed from the BedJet. I like that the sheet is made of 100% cool cotton fabric. This additional piece improves the cooling experience of the BedJet Climate Comfort System. Place the BedJet sheet on top of your body as your top sheet. 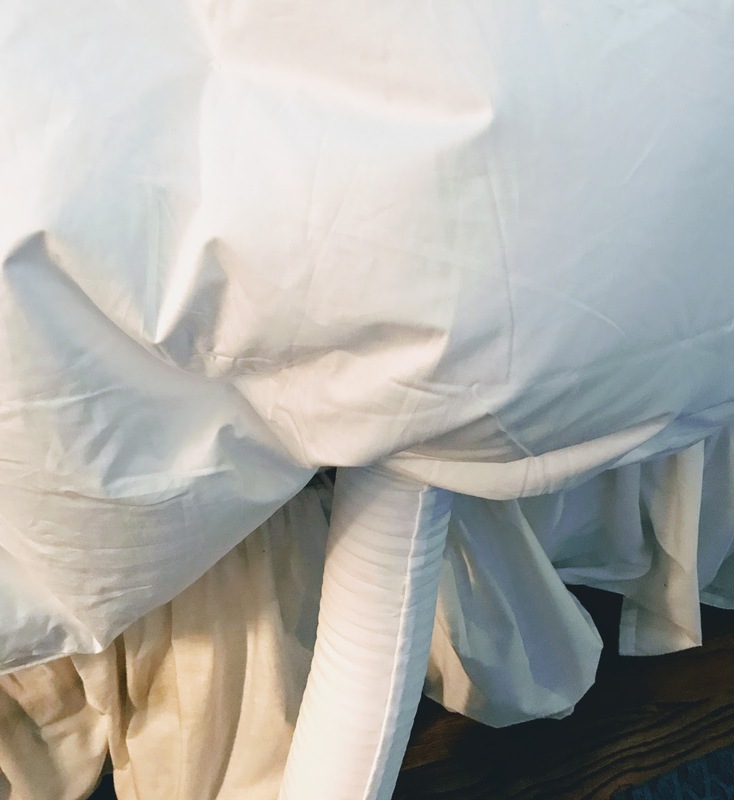 As you can see from the picture the sheet inflates with an adjustable flow of air that will help keep you cool all night. Make sure you have the label, "This Side Down" facing downwards towards the mattress. If you have it upside down you'll miss out on the optimal performance of the system. It is especially effective to use during the warm summer months. It can even save money because I don't have to turn the thermostat down as much as I used to. A bed fan helps to cool the warm air that builds up from body heat and gets trapped inside the sheets. The amount of air that is blown is completely adjustable to go higher or lower. My husband is the opposite of me, he likes the room warm and the bedroom warm, which makes the bed fan a perfect device because it only cools off the sheets on my side of the bed. The other benefit of this fan is that it has a soft humming sound when it is turned all the way up which I find relaxing. It is soft and soothing and the best part is that it doesn't bother my husband who does not like the sound of a fan. It is not loud enough if your are looking for a fan to mask outside noises just a soft hum that gets louder the higher the fan is adjusted. Sleeping cooler can impact your quality of sleep. Most sleep experts agree that a cool room makes for better sleep. Perhaps instead a cool bed is just as good.